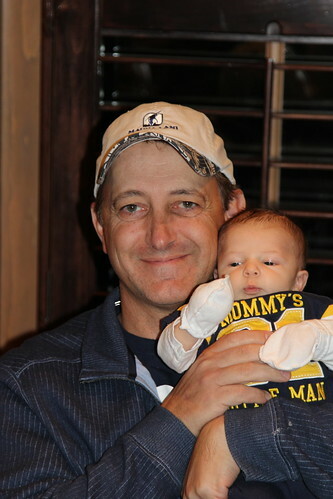 Ryder was blessed on September 30 at about 4 weeks old. 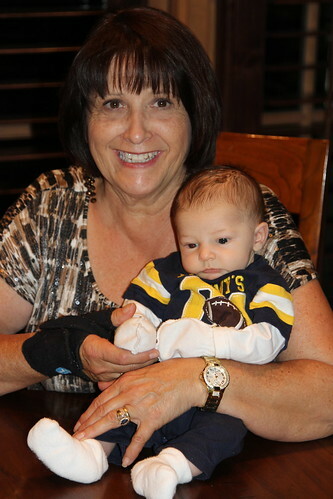 Greg and Kathy, Omi and Opi, and Kelsi all came into town for his blessing! The weekend was filled with fun activities with family. Greg and Kathy came into town and tried Smashburger and Spooners for the first time. Kevin got his hair cut at a real barber salon, which he was pretty excited about. 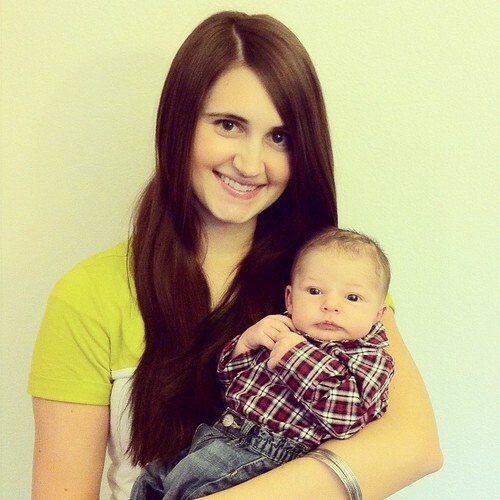 We watched the Relief Society Broadcast at church where Omi met her FIRST grandson for the first time! * Kathy and I walked in the building (mom, Omi, Kelsi, and NaNet were saving us seats), sat down, and I passed Ryder over my shoulder to Omi who was sitting in the row behind us. That was how she met him! She was even telling some random young women she was sitting next to that that was the first time she met him! It was so cute. 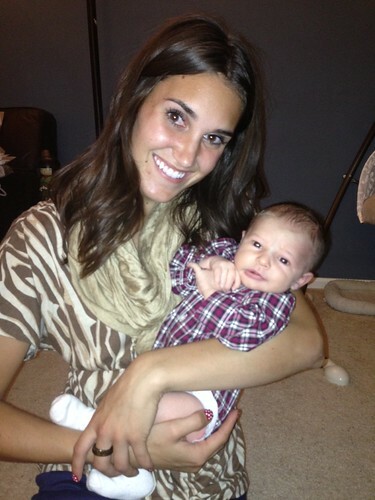 NaNet and my mom kept volunteering to change Ryder's diaper during the meeting as well haha! After the broadcast, all the ladies went to Panera. Got to love their Napa Almond Chicken sandwich! Of course, Ryder was blessed Sunday morning at church. 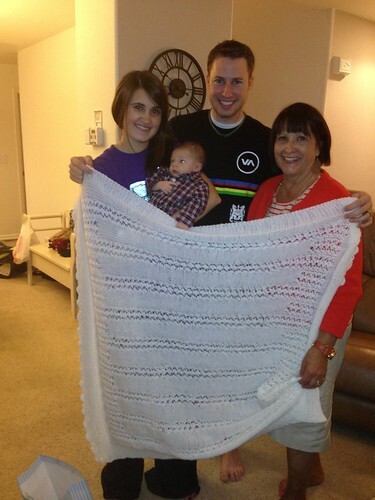 Oh, and the picture of Kevin, Omi, Ryder and I with a blanket is the blanket that Omi made for his blessing! Beautiful. We then had a family lunch at my parents. We hung out as a family and then Kelsi and Greg and Kathy left to the airport.